While interacting with people we get these statements quite frequently: “Power Save! So you tell people to use less energy and conserve it?” or “Your website has ideas on how to buy appliances, how does that relate to saving electricity?” The easiest way to save energy (or electricity) is to use less of it, but we have to be realistic in our approach. Our lifestyles are changing, and with increased pace of development, our need for appliances is increasing and so is our need for energy. Thus the ideal mix to save energy will involve both conservation and efficiency. Now let us look at what is the difference between the two. Energy efficiency, in contrast, means using lesser energy to do the same job. When you buy a car that gives more mileage, you use less fuel to travel the same distance. When you buy a 5 star rated air conditioner instead of a 2 or 3 star rated air conditioner, it means that for the same usage and in same conditions, you use less energy (for the same temperature at which you operate them). If you use a 5 star rated air conditioner at a higher temperature, you double the effect and combine energy efficiency with energy conservation. Energy efficiency has more impact on your personal finances. An efficient appliance may cost more than an inefficient appliance. Although the additional capital cost may get recovered in form of electricity savings. Energy efficiency may not require physical effort but requires a change in people’s buying patterns. It requires knowledge of various products and their efficiencies. If people start buying more of efficient products, manufacturers will start producing more of them. 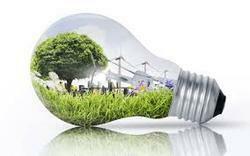 Energy efficiency is the low-hanging fruit of greenhouse gas reduction. By taking a little care with how we use energy in our homes, we not only lighten the load on the environment, but we can save cash too. In many parts of the world, the cost of electricity is rapidly increasing due to a variety of factors. One of the reasons is demand – as we acquire more power-sucking gadgets and gizmos; this not only means more electricity needs to be generated, but additional infrastructure must be built for transmission and distribution. Regardless of the reasons for electricity price increases; there are many ways to cut the cost of electricity of your power bill – and some changes will cost you nothing to implement or very little. Reducing your energy usage will help energy conservation and hopefully slow the effects of global warming, but for the money-saving component, you need to be on the best energy rates available on the market. That way the energy you do use will be at the lowest rates possible and to do this you need an energy compare website, these comparison websites are energy brokers who can help you by doing a full business electricity price comparison across the market.